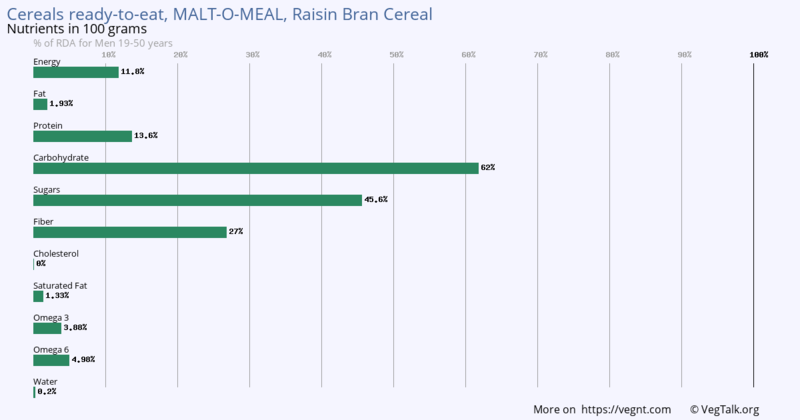 Cereals ready-to-eat, MALT-O-MEAL, Raisin Bran Cereal. 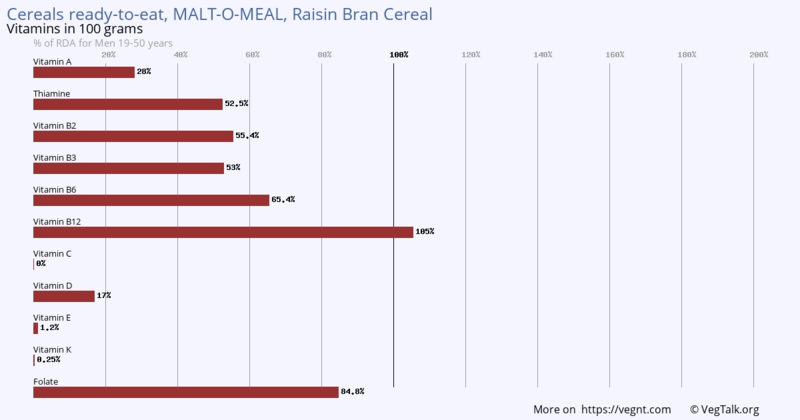 100 grams of Cereals ready-to-eat, MALT-O-MEAL, Raisin Bran Cereal has outstanding amounts of Vitamin B12 and Folate. It is an excellent source of Vitamin A, Thiamine, Vitamin B2, Vitamin B3 and Vitamin B6. It also has a good amount of Vitamin D. While 100 grams of product has trace amounts of Vitamin E, it has no Vitamin C and Vitamin K.
100 grams of Cereals ready-to-eat, MALT-O-MEAL, Raisin Bran Cereal has outstanding amounts of Iron. It is an excellent source of Copper, Magnesium, Phosphorus, Selenium, Sodium and Zinc. It also has a good amount of Potassium. This meal has some Calcium. 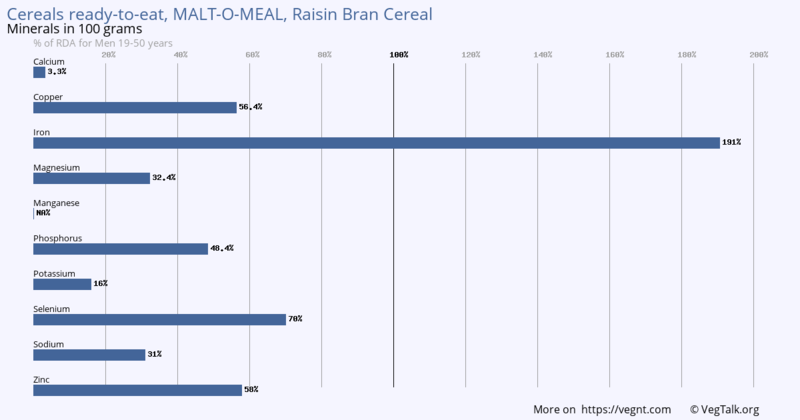 100 grams of Cereals ready-to-eat, MALT-O-MEAL, Raisin Bran Cereal is an excellent source of Carbohydrate, Sugars and Fiber. It has a good amount of Protein. It also has some Omega 3 and Omega 6. The product has trace amounts of Fat and Saturated Fat.